A family member of mine is looking at buying a 335ci. It has a JB4 tune on it currently, which she isn't overly interested in. Have been in a stock one before and it is plenty fast. Just wondering if anyone knows about the uninstallation process? And if there are any potential consequences of having a car that was once tuned? Would one be better off to go for a car that hasn't been tuned? I have zero knowledge when it comes to tuning so any advice is appreciated. Very tidy and low kms but its a 335i that will only depreciate in value and get worse in condition as time passes. For me this is a pointless car but for you/your family member this may not be the case. 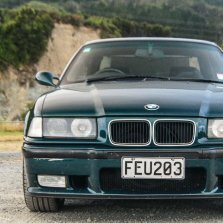 The car itself is NZ new which is nice, a nice rare le mans blue colour, has some nice pretty bits, but also has the 19" wheels that are easily cracked over potholes etc, and because its low mileage probably hasnt had any plastic hoses/pipes replaced but still its 10 years old. You can pick up a reasonable condition 335i coupe for 15-20k these days and still have to spend a few thousand on maintenance etc but at the end of it you havent lost 10k on depreciation. But like I said, if you have the money, and want a tidy low kms exmaple to keep for a long time, then cant really go wrong. Also doesnt have iDrive which could be a good thing because the older ones are useless anyway and can break. just use a phone and a car mount. seriously though, 28k is a huge amount of money for a 10 year old car. You can pick up a F30 335i for not much more and it is heaps more advance in comfort and tech. Yeah, I agree. Definitely wouldn't pay that much for it. Although, it is the perfect spec in my opinion. It will be a long-term car. 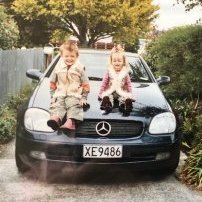 Last car she bought is the SLK in my profile picture; bought when only 3 or 4 years old and still driving it daily. JB4 tune means it's been thrashed, the owner didn't do a mod like that do nana it around. These are pretty common so you could likely find a completely stock one, I'd find that if I was in the market for such. I’d tend to agree with the thrashing point. A shame really, because it is a stunning car. I wouldn't say "thrashing" is bad as long as engine temps and maintenance have been watched. The way I drive my tuned car is no worse than someone in a stock car, it just means any weak parts in my car have already been replaced. I see no harm in removing the tune and running stock again, although that's pretty highly priced for an e92 and no doubt a premium for having the tune. i think the premium is on the low 30k mileage more than having the tune. Also a relatively rare le mans blue amongst the common black/silver/white and also that its NZ new. But then again, its not facelift, doesnt have CIC idrive or any idrive for that matter, no sunroof, nothing else in terms of "options" its just a low mileage car with probably nothing replaced in it except maybe a couple of oil services at most. The problem is its 10 years old and parts will need replacing on top of that huge premium then suddenly its a 35k car. I too think the premium is for the mileage + NZ new. Have emailed the owner; apart from regular servicing, only the ABS module has been replaced. The tune was installed shortly after he got it. He bought it with just under 8kms and has done around 22kms with the tune issue free (apart from ABS). Not having idrive always feels a bit... Basic povo pack, to me. So if none of it's done, expect it to need injectors, coils, hpfp and charge pipe. That's a big whack of cash. I purposely bought my coupe without idrive. Much cleaner looking and the older idrive feels so dated. Thats true, its not like the car is probably any worse if you pulled the parts off and compared such with a micrometer. It's just more of the morals of it. Youre buying a secondhand bed car anyway, so that point is kinda moot. Any car can be "thrashed", tune or no tune. for me it goes CIC > no iDrive > CCC. of course NBT etc is obviously the best but if I had to choose I would go no iDrive over the CCC. But then again, nowadays you can convert CCC to CIC easily and cheaply enough. Anyway, not the important factor in this anyway. As KwS said, you will need to budget for eventually - hpfp, injectors, coils, charge pipe - on top of that probably waterpump and thermostat (bloody expensive locally) also might as well get a boost pipe and intake pipe cuz why not, probably also need a new battery at some point as they all seem to go sh!t after about 10 years especially the lower kms ones (we had to replace ours last year for the 2005 E91 45,000kms). Anyway, great cars but not cheap to run/maintain. Seeing the only reason this car is 28k is because of the mileage, but the fact that it's been modded probably means it's been thrashed abit, and it's still 10 years old - and the mileage isn't so important, I can't see the justification in that price. I paid $13k for a 70,000km 2008 335i almost a year ago. Completely mint with all options. It would never have given me any issues if I hadn't had tuned it. BUT, as soon as you wind the boost up, thing's start to show their weakness. 30-70,000km is when things will fail under the higher pressure. I paid 15k for my 2007 335i over 2 years ago now. Usual issues, charge pipe leaks was the major. I just wouldn't pay over $20 for an 07-09 335i now. The engine itself is pretty good as is the trans. The stuff bolted to the engine is where the issues are.